An exploration of the innovative designs of world-renowned architectural firm SCDA - modern, fresh, exciting - a true reflection of contemporary Asian architecture. 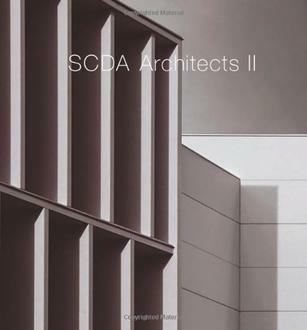 This monograph of SCDA Architects continues the exploration of the work of Malaysian-born Soo Chan, which first began in The Master Architect Series VI. Soo Chan's designs are a reflection of contemporary Asia-modern, fresh and exciting, incorporating Soo Chan's inspired vision-while still referencing the spirit of traditional Asian architecture. While his designs might at first glance appear modernist, Western-inspired creations, closer inspection of the details-the sloping roofs, the wooden shutters-reflect their South-East Asian context. The melding of these two perspectives results in a unique form of architecture, evident across SCDA's varied projects, including houses, condominiums, commercial, hospitality and institutional buildings, as well as master planning projects and interiors. Accompanied by full colour photography and detailed descriptions, this selection of projects illustrates why SCDA is one of the most creative and exciting architectural firms working in Asia today.